Dream Vegas Casino will then reward you with a bonus (Welcome Bonus is for new players only). The terms and conditions of the bonuses vary between different casinos and might also change over time and between different countries, so it is important to compare the different offers and read the T&C for Dream Vegas Casino before signing up. If you’re on the lookout for a brand new casino in 2018, look no further than Dream Vegas Casino. Managed by White Hat Gaming, this incredibly slick and modern website is full of high-quality games from leading developers. Slots, table games, and live dealer options are available, and the fantastic layout ensures selecting your favourite title couldn’t be easier. The casino is licensed by the Malta Gaming Authority and also the United Kingdom Gambling Commission. Plus, you can even access the website through your favourite portable device. If this sounds interesting, take read of our review to find out more! Dream Vegas Casino managed to provide games from some of the top software developers in the industry. There are titles here from the likes of Aristocrat, 2 by 2 Games, 1X2 Gaming, Lightning Box Games, Foxium, Microgaming, ELK Studios, Storm Gaming, Blueprint Gaming, Inspired Gaming, Just For The Win, Sigma Gaming, Magic Dreams, Spieldev, Big Time Gaming, Seven Deuce, Evolution Gaming, Felt Games, Thunderkick, Merkur, Rabcat, NetEnt, NYX, and Leander. With so many developers working alongside the casino, there really is something for everyone. Game categories include slots, jackpots, live dealer, table, blackjack, roulette, poker, and scratch cards. If slots are your favourite type of game, you won’t be disappointed with the selection on offer at Dream Vegas Casino. Even though the casino has only been established since 2018, there are over 1000 titles to choose from, all of the highest quality. All the popular games are here such as Starburst, Danger High Voltage, Gonzo’s Quest, Immortal Romance, Rainbow Riches, and Aloha Cluster Pays. You’ll also find a great selection of jackpot titles such as Divine Fortune, Mega Moolah Isis, Major Millions, Treasure Nile, and Cash Splash. These games are always more entertaining than the standard slots, and they also give you a great chance of winning millions of pounds if you’re lucky! Even though most gamers are admittedly here for the slots, Dream Vegas haven’t forgotten about the table game fans out there. Dreams Casino and Real Time Gaming are the main providers for these titles and you can choose from roulette, blackjack, poker, craps, pontoon, baccarat, and poker. It doesn’t matter how much cash you have to spend as there are tables of all stake sizes available. These can range from £0.01p all the way up to thousands of pounds. If you fancy a small break from the slots and table games, check out the Scratch & Fun section at Dream Vegas. There are six games to choose from and they include Pots O Luck, Irish Eyes Scratch, Virtual Champs League, and Virtual Soccer. Ever wanted to experience a real casino from the comfort of your living room? Well, now you can with Dream Vegas’ Live Dealer section. All of the games are supplied by NetEnt and Evolution Gaming and there are multiple tables where you can get your fix from. With blackjack, roulette, poker, and baccarat, there will surely be something to suit your needs. Alternatively, you can play Dream Catcher if you fancy something a little different. It’s possible to interact with dealers and fellow players, and it’s all broadcast in stunning HD via webcam directly to your home. There’s stakes ranging from pennies all the way up to thousands of pounds meaning literally anyone can enjoy what’s on offer. There are plenty of banking options that you can deposit with at Dream Vegas. These include American Express, Bank Wire, MasterCard, Neteller, Paysafecard, and Visa. However, you are given just three methods if you wish to withdraw – Bank Wire, Cheque, and Neteller. There is also a minimum withdrawal limit of £20, and a weekly maximum limit of £2,000. Furthermore, all withdrawals will be subjected to a 48 hour holding period so it may take up to five days for funds to appear in your account. Currencies accepted include USD, CAD, EUR, SEK, NOK, GBP and ZAR. 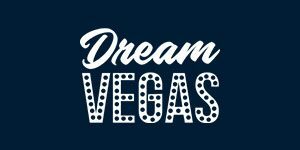 If you need help while at Dream Vegas, there is a great customer support team that is available 24/7. If you are in a hurry, then the easiest way is through the live chat option where an agent will be with you within seconds. Alternatively, you can send an email using the address provided. Unfortunately, we could not find a FAQ section so you won’t be able to resolve an issue yourself. If you’re an international customer, you can access the site in six different languages. These include English, Finnish, French, German, Norwegian, and Swedish. Disappointingly, there was no evidence of the casino having a presence on any form of social media.